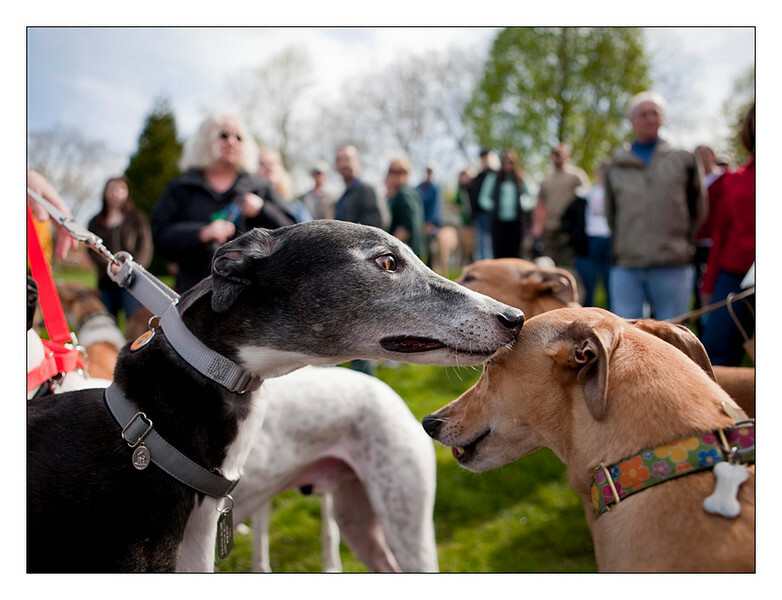 Every month a local group of wacky greyhound people organize a walk in various parts of Portland and the surrounding communities. This morning we had beautiful spring weather and a walk in Portland's Eastmoreland neighborhood. It's always a lot of fun, old friends have an opportunity to get reacquainted and new friendships blossom. Tux introducing himself to a new lady friend.